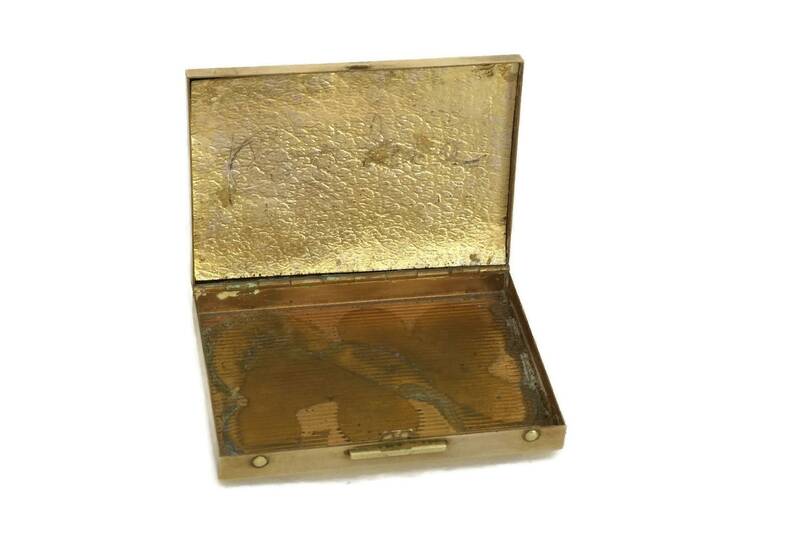 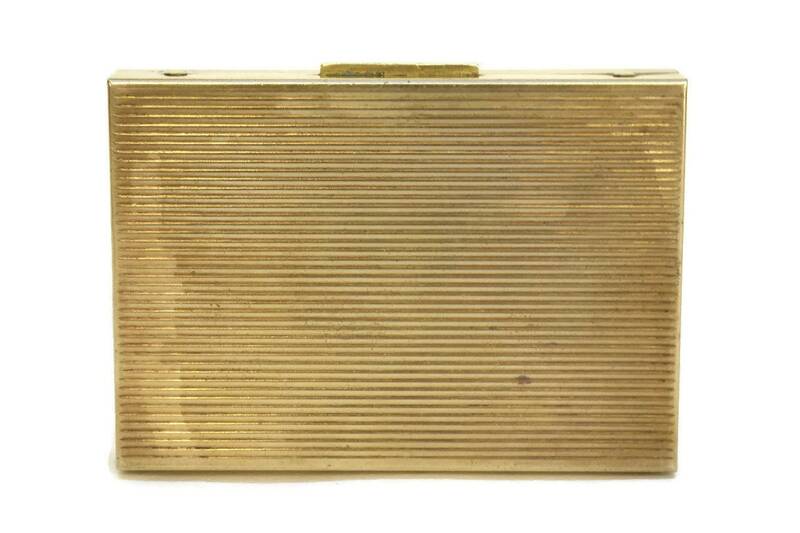 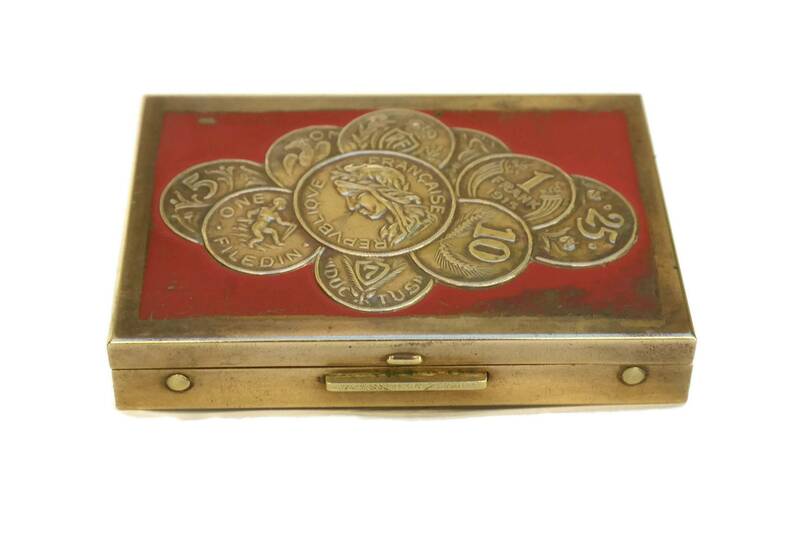 A lovely vintage coin compact manufacture in the Mid Century by Zell Co. 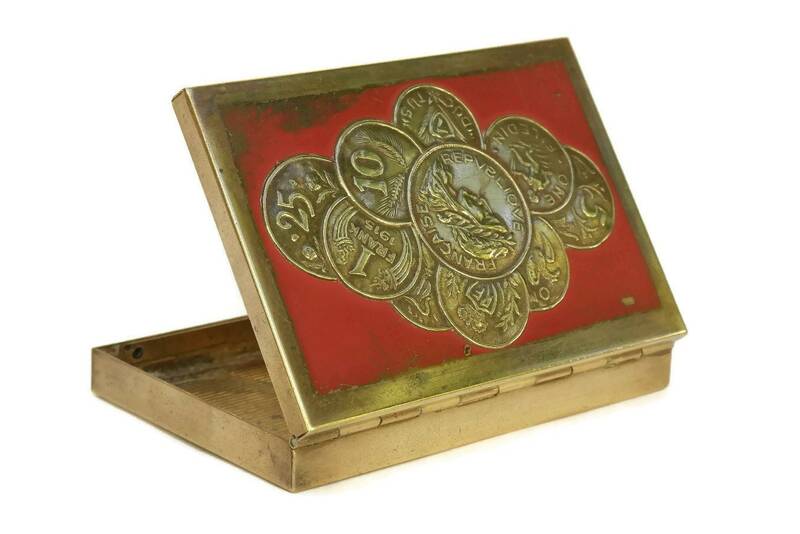 The petty cash money box has been made from gold tone brass and decorated with a group of fake international coins on an enameled red background on the lid. 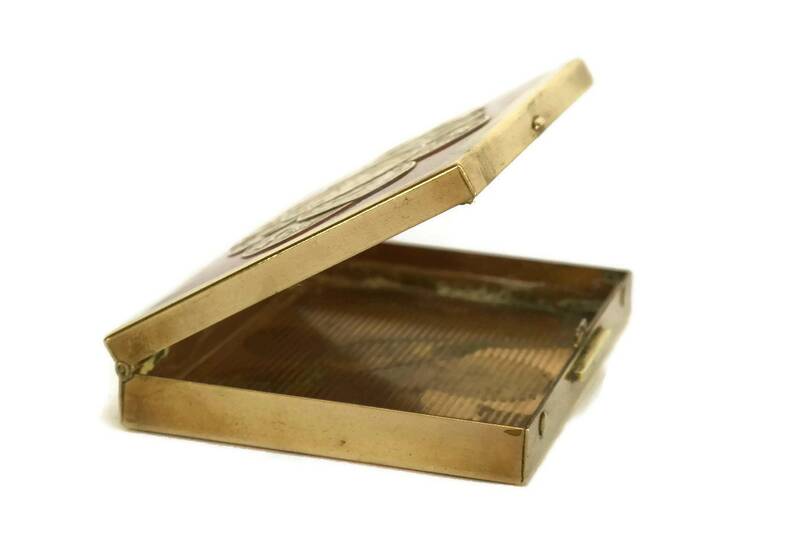 The lid flips open and seals shut with a latch. 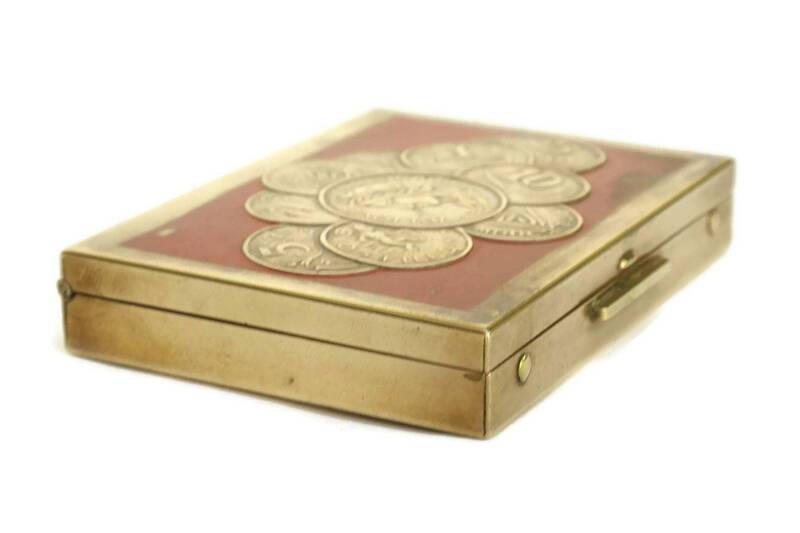 This compact is known as "Money Mind Her" model. 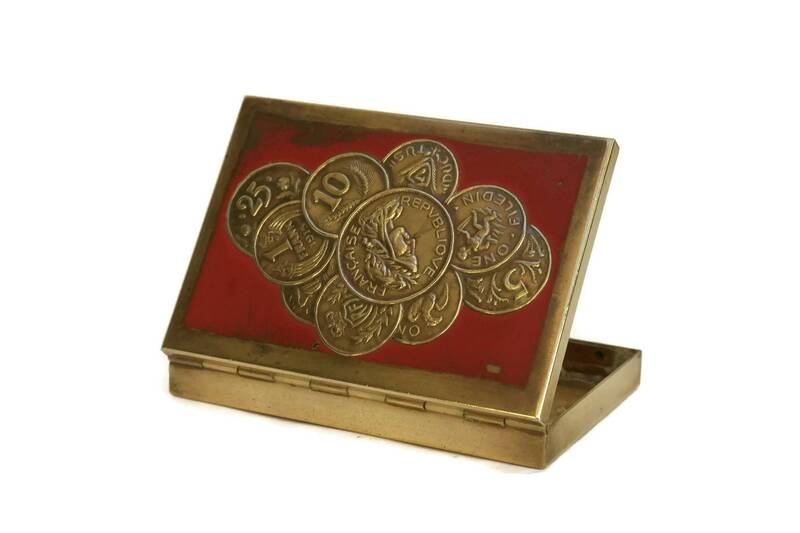 This change holder will make a great gift for her. 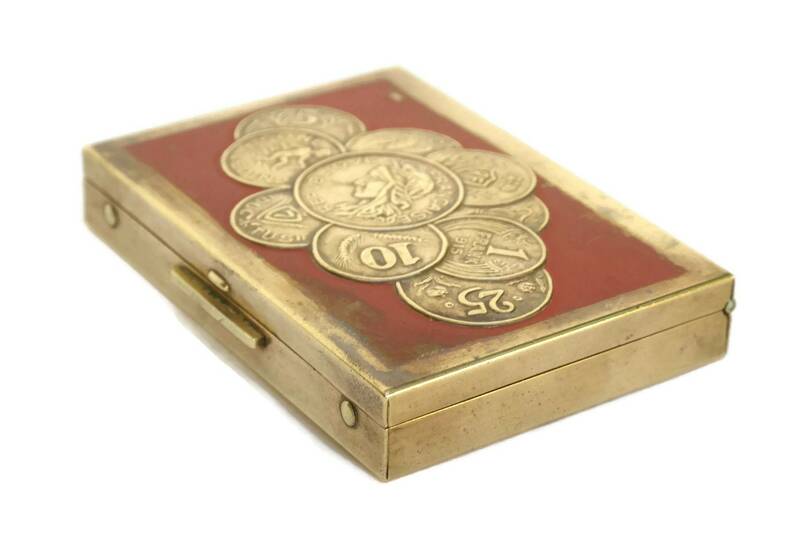 3 1/8" Long x 2 1/4" Deep x 1/2" High (8 cm x 5,5 cm x 0,8 cm). 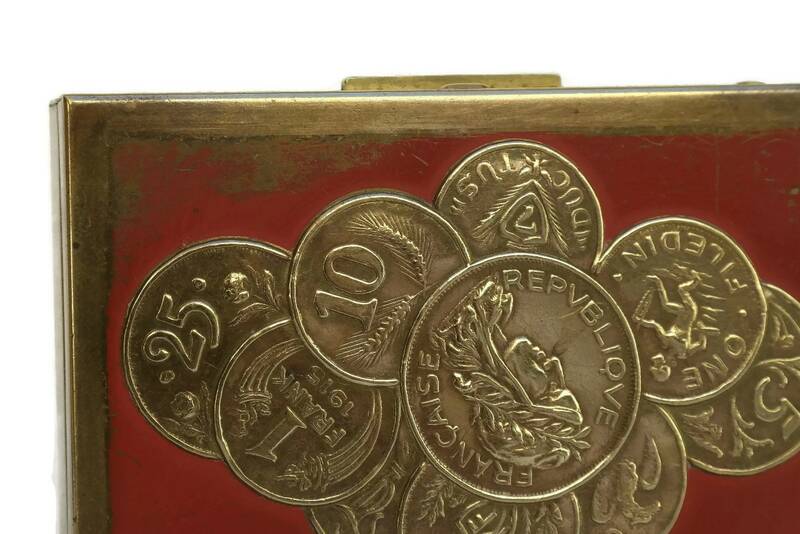 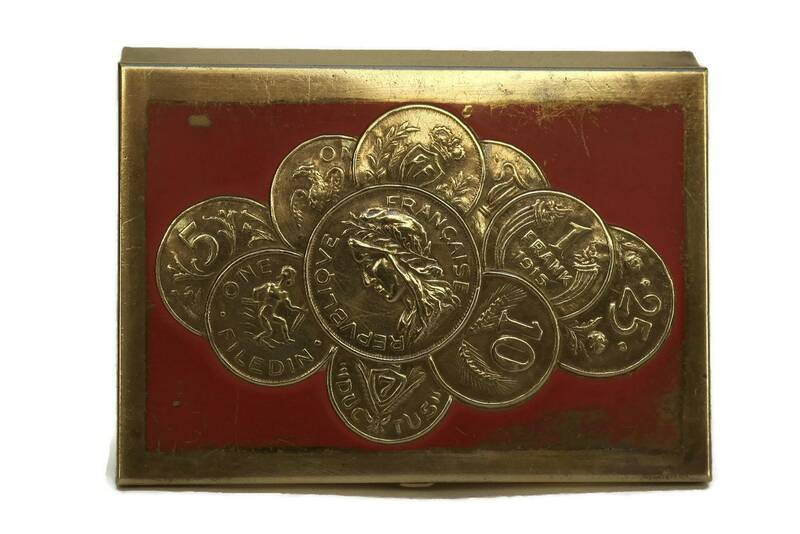 The wallet coin change purse is in good vintage condition with signs of age and wear including rubbing away of the red enamel in places and patina and light oxydation to the brass.